A new twin-tower apartment project could well be deemed a testing of the water for Sobha Group, the company that has built its brand around high-end, aspirational housing developments. The company’s biggest project, District One in Mohammad Bin Rashid (MBR) City, is an $8-billion (Dh29.38 billion) joint venture with Meydan Group that comprises villas, apartments around a lagoon and mansions. It also has Sobha Hartland, a $4-billion, resort-style mixed-use community also in MBR City. 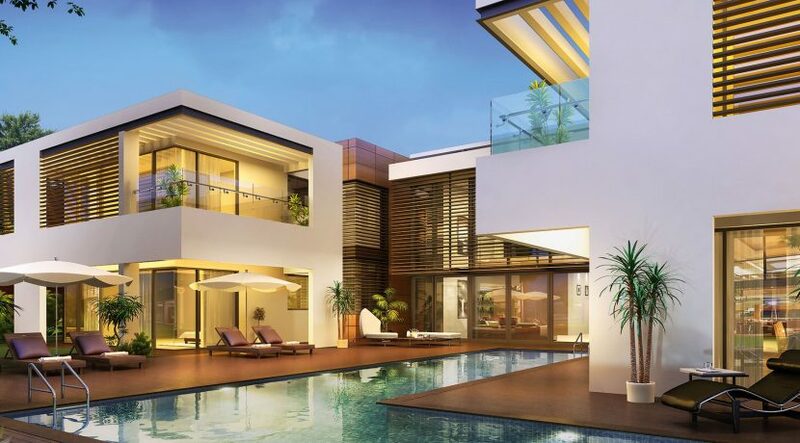 In collaboration with the Umm Al Quwain government, Sobha is developing Firdaus Sobha, a $6.8-billion island development that the group’s founder and chairman, PNC Menon, describes as homes “meant only for the most discerning”. Creek Vistas will feature one- and two-bedroom apartments, positioning it mainly in the small family segment, with prices starting from Dh800,000 up to Dh1.2 million. Menon believes the price range is a sweet spot for households looking to move into home ownership. However, Menon says a full-on venture into the mid-market segment will have to wait until he finds a suitable location. Apart from plans to enter the affordable market segment, Menon says Sobha, which comprises backward integrated businesses built around the group’s real estate development activities, will focus on consolidation, with the goal of reaching Dh3.5 billion in revenue in the next half decade.